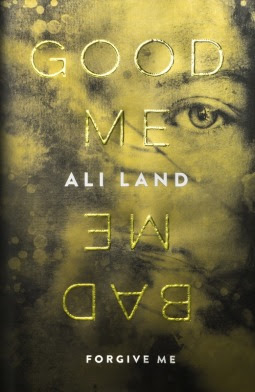 Good me Bad me follows the life of Milly who's mother is a serial Killer, Milly's mother has killed several children who have been entrusted into her care. One day Milly has had enough and goes to the police and tells them everything her mother has done. Following this her mother is then sent to jail pending trial and Milly is sent to live with a foster family where she is prepared to give evidence at the trial. This book follows Milly in the lead up to her mother trial with her Foster family helping and preparing her to give evidence, however, Milly and the daughter of the foster family Phoebe are anything but friends. The trial comes and Milly gives her evidence, a verdict is given and Milly has to face life after trial but is all as it seems? With major plot twists, you don't see coming. From the moment I picked this book up, I couldn't put it down again, a real psychological thriller with some amazing plot twists I did not see coming. This book really puts you through your emotions. A great plot, great characters and just overall a great read. I gave this book a five-star review. I will most defiantly reread this book and will be suggesting it to my book club as well. Most certainly recommend this book to anyone looking for a great psychological thriller with great plot twists. The Plot is well written and easy to follow. The characters are fantastic and really add strength to the plot and the overall greatness of this book. This is the second time I have read this book now and I loved it even more than I did the first time. This is certainly one of those books that I shall reread over and over again and has quickly become one of my favourite books and has made its way into my favourite category on my Kindle.